There were several revisions this month to the U.S. 2018/19 rice balance sheet. On the supply side, carryin was lowered 13 percent to 32.3 million cwt due to revisions in 2017/18 exports and domestic use. In addition, 2018/19 production was increased 5 percent to 2013.0 million cwt due to a higher area estimate provided by NASS. On the use side, 2018/19 domestic and residual use was increased 5.0 million cwt to 128.00 million cwt, while exports were lowered 1.0 million cwt to 102.0 million cwt. On balance, these revisions increased the 2018/19 ending stocks forecast 2 percent to 42.3 million cwt. The 2018/19 season-average farm price was lowered slightly for both long-grain and combined medium- and short-grain rice due to larger supplies. For 2017/18, domestic and residual use was boosted 9.0 million cwt to 129.0 million cwt, largely based on data from the June Rice Stocks. In contrast, 2017/18 U.S. exports were lowered 4.0 million cwt, largely based on shipment pace and outstanding sales. 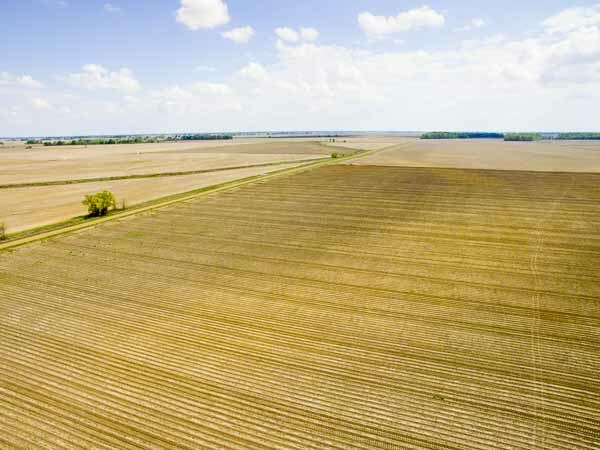 The first survey-based estimate of 2018/19 U.S. rice planted area is 2.84 million acres, up nearly 6 percent from the March intended plantings and 15 percent larger than a year earlier. At 2.13 million acres, 2018/19 long-grain planted area is up 5 percent from intended plantings and 18 percent above a year earlier. Almost all long-grain rice is grown in the South. Combined medium- and short-grain plantings are estimated at 708,000 acres, up 7 percent from the intended plantings reported in March and nearly 9 percent above 2017/18. Medium- and short-grain plantings are up from 2017/18 in both California and the South, with California accounting for three-fourths of the year-to-year increase. By State, Arkansas accounts for the largest share of this month’s upward revision in planted area, with total rice plantings revised up 60,000 acres, all long-grain. 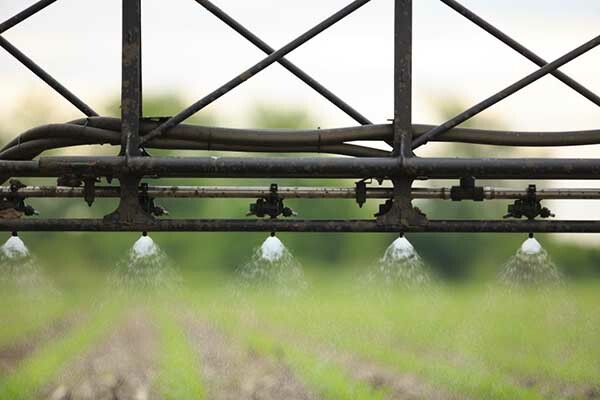 California’s 2018/19 rice plantings were increased 47,000 acres, all medium-grain, as early-season concerns over adequate water availability receded. This was the only upward revision in medium-grain acreage except for a 3,000-acre increase in medium-grain plantings reported for Texas, which grows mostly long-grain rice. 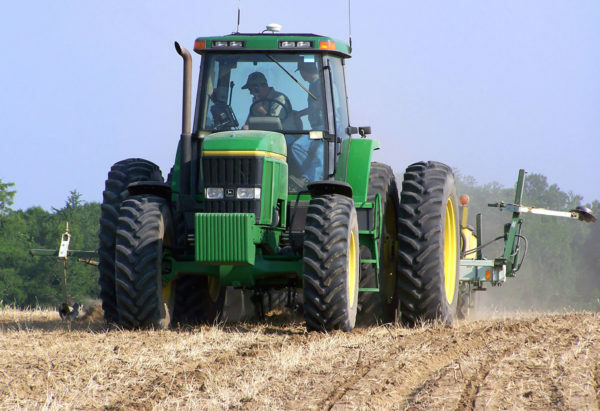 Mississippi’s 2018/19 plantings were raised 30,000 acres this month, or 25 percent, the highest percentage increase of any reported State. Texas plantings were boosted 19 percent this month, or 33,000 acres, with long-grain accounting for most of the upward revision. In contrast, Missouri’s 2018/19 planting estimate was lowered 20,000 acres or 9 percent, all long-grain. Louisiana’s 2018/19 planting estimate is unchanged from the March intentions. The higher-than-anticipated long-grain plantings were likely due to a slight increase this spring in projected returns to rice compared with competing crops, primarily soybeans and corn in the Delta. On an annual basis, rice plantings are estimated higher in 2018/19 in all reported States, with Arkansas accounting for 61 percent of the total increase. 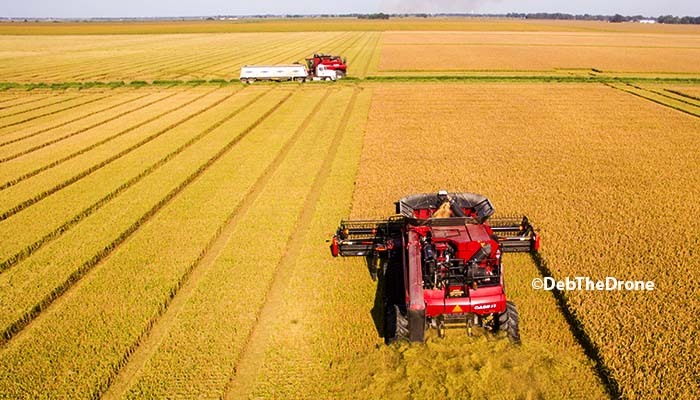 At 1.39 million acres, Arkansas’ 2018/19 rice plantings are up 20 percent from a year earlier, with long-grain accounting for the bulk of the increase. Mississippi’s 2018/19 rice plantings are up 30 percent from a year earlier—the highest percentage increase for any State. Long-grain accounts for all of the State’s rice production. Missouri’s 2018/19 rice plantings are estimated at 199,000 acres, up 18 percent from 2017/18, with long-grain accounting for all of the increase and most of the total area. Texas rice plantings are estimated to have increased 17 percent from last year to 203,000 acres, with long-grain accounting for all of the increase and the bulk of the State’s rice production. California’s 2018/19 rice area is estimated at 487,000 acres, up more than 9 percent from last year when early-season flooding reduced area. Despite the increase, California’s planting remains well below 2016/17 and pre-drought levels. Louisiana reported the smallest area increase in 2018/19. At 410,000 acres, Louisiana’s rice plantings are up just 10,000 acres—all long-grain—from a year earlier. Long-grain typically accounts for more than 90 percent of Louisiana’s rice plantings. Despite a delay in plantings in much of the South due to excessive rain, progress of the 2018/19 crop was near-normal by July 8, with harvest expected to start next week in Southwest Louisiana, typical for that region. Harvest in Texas for the bulk of the crop is expected to start by late July. For the week ending July 8, 21 percent of the U.S. 2018/19 rice crop was reported headed, nearly unchanged from last year or the U.S. 5-year average. As expected, progress was most advanced on the Gulf Coast, the southern-most growing region. By July 8, 66 percent of the Texas crop had headed, slightly behind last year but well ahead of the State’s 5-year average of 52 percent. In nearby Louisiana, 56 percent of the crop was reported headed by July 8, 2 percentage points behind last year and 4 percentage points behind the State’s 5-year average. 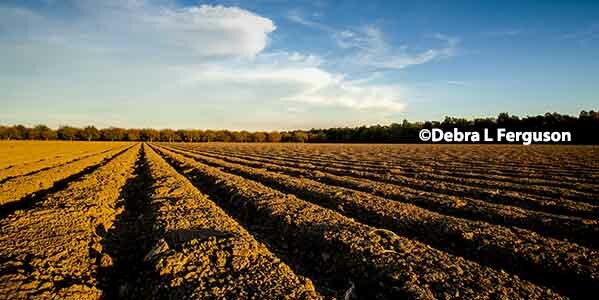 In the Delta, 10 percent of Arkansas’ 2018/19 crop was reported headed by July 8, 1 or 2 percentage points ahead of both last year and the State’s 5-year average. Mississippi’s 2018/19 rice crop was reported 19 percent headed by July 8, well behind last year’s 50 percent but only 5 percentage points behind the State’s 5-year average. In Missouri, 18 percent of the crop was reported headed by July 8, well above both 9 percent a year earlier and the State’s 5-year average of 7 percent. Finally, California’s 2018/19 rice crop was reported 10 percent headed by July 8, up from just 3 percent in 2017/18 when adverse weather delayed or prevented plantings, and even with the State’s 5-year average. Plantings in California got off to a slow start this year, but crop progress is currently about normal. Reported conditions of the 2018/19 crop are similar to a year earlier in several States. For the week ending July 8, 72 percent of the 2018/19 U.S. rice crop was rated in good or excellent condition, unchanged from a year earlier. Also, just 4 percent of the 2017/18 crop was rated in poor or very poor condition compared with 6 percent this year. Conditions varied by State. In Arkansas, 65 percent of the 2018/19 crop was rated in good or excellent condition for the week ending July 8, also unchanged from a year earlier. In addition, 9 percent of Arkansas’ 2018/19 crop was rated in poor or very poor condition, compared with 7 percent a year earlier. For the week ending July 8, 82 percent of Mississippi’s 2018/19 rice crop was rated in good or excellent condition, well above 58 percent a year ago. None of Mississippi’s 2018/19 and 2017/18 rice crop was rated in poor or very poor condition. In contrast, just 62 percent of Missouri’s 2018/19 crop was rated in good or excellent condition, well below 73 percent a year ago. Furthermore, 15 percent of Missouri’s 2018/19 crop was rated in poor condition compared with none a year ago. The State has experienced extremely hot weather in recent weeks. Similarly, for the week ending July 8, just 63 percent of Louisiana’s 2018/19 rice crop was rated in good or excellent condition, down from 74 percent a year earlier. However, only 4 percent of Louisiana’s 2018/19 crop was rated in poor or very poor condition compared with 7 percent in 2017/18. As is typical, California reported the highest crop conditions. For the week ending July 8, 95 percent of California’s crop was rated in good or excellent condition, down slightly from 100 percent a year earlier. The spring and summer climate in northern California is typically more favorable to rice production than the more humid and rainy southern growing areas, with summer daylight hours longer as well. There were several supply side revisions to the 2018/19 U.S. rice balance sheet this month, a result of both data from the June Acreage report and revisions to the 2017/18 rice balance sheet. First, the 2018/19 U.S. rice crop projection was increased 5 percent to 213.0 million cwt, up nearly 20 percent from the year-earlier abnormally small crop. The upward production revision was the result of a 133,000-acre increase in the harvested are estimate to 2.80 million acres, 18 percent above a year earlier when abandonment was unusually high for rice. The new harvested area estimate was reported by NASS and is based on the recent 5-year average of the harvested-to-planted area ratio. In contrast, the average 2018/19 yield was lowered 11 pounds to 7,599 pounds per acre, with the slight reduction due to area shifts by State. The yield is based on 20-year trends by class. Despite the slight reduction, the 2018/19 average yield is 1 percent above a year earlier but below the 2013/14 record of 7,694 pounds. By class, U.S. long-grain production is forecast at 156.5 million cwt, up 4 percent from the previous forecast and more than 22 percent larger than a year earlier. The year-to-year long-grain production increase is primarily due to expanded area, mostly in the Delta. Combined medium- and short-grain production is forecast at 56.5 million cwt, up almost 7 percent from the previous forecast and 12 percent larger than the 2017/18 crop. Like long-grain, the larger expected medium- and short-grain crop in 2018/19 is mostly due to expanded area, especially in California. The 2018/19 U.S. rice carryin is projected at 32.3 million cwt, down 5.0 million cwt from the previous forecast but 30 percent below a year earlier and the smallest since 2014/15. The substantial downward revision is the result of an upward revision in the 2017/18 domestic and residual use forecast. By class, the 2018/19 long-grain carryin was reduced 1.0 million cwt to 20.6 million cwt, 34 percent below a year earlier. The medium- and short-grain carryin was reduced 4.0 million cwt to 8.4 million cwt, 27 percent below a year earlier and the smallest since 2009/10. Imports in 2018/19 remain forecast at 27.0 million cwt, unchanged from the year-earlier record. Long-grain 2018/19 imports remain forecast at 23.5 million cwt, also unchanged from the earlier record. Thailand, India, and Pakistan are expected to again account for the bulk of U.S. long-grain rice imports, shipping almost exclusively aromatic rices. Medium- and short-grain imports remain projected at 3.5 million cwt, also unchanged from a year earlier but well below the 2006/07 record of 6.3 million cwt. Specialty rice from Thailand accounts for most of U.S. medium- and short-grain rice imports, with Italy’s premium Arborio accounting for much of the remainder. Total U.S. rice supplies in 2018/19 are projected at 272.3 million cwt, up 4.8 million cwt from the previous forecast—a result of a larger crop forecast—and more than 8 percent larger than a year earlier. The year-to-year supply increase is the result of a much larger crop more than offsetting a smaller carryin. Long-grain supplies are projected at 200.4 million cwt, up 5.3 million cwt from the previous forecast and up 10 percent from a year earlier. Medium- and short-grain supplies are forecast at 68.4 million cwt, down 0.5 million cwt from the previous forecast as a smaller carryin more than offsets a larger crop. 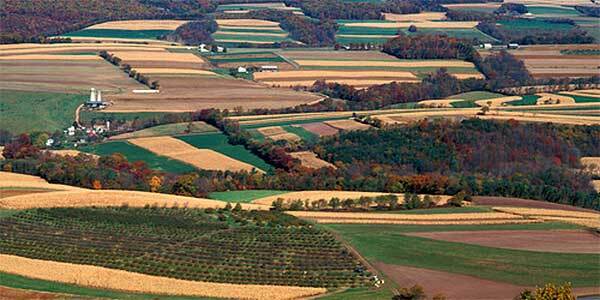 Medium- and short-grain supplies are still up almost 5 percent from a year earlier. Total domestic and residual use of rice in 2018/19 is projected at 128.0 million cwt, up 5.0 million cwt from the previous forecast but almost 1 percent smaller than a year earlier. The upward revision was primarily based on a larger supply forecast. Domestic and residual use account for post-harvest losses, including unreported losses in processing, marketing, and transporting. These losses are typically proportional to the crop size. Long-grain domestic and residual use is projected at 99.0 million cwt, an increase of 3.0 million cwt from the previous forecast and 4 percent larger than in 2017/18. Medium- and short-grain domestic and residual use is projected at 29.0 million cwt, up 2.0 million cwt from the previous forecast but 14 percent below the abnormally high level estimated for 2017/18. Total U.S. rice exports in 2018/19 are projected at 102.0 million cwt, down 1.0 million cwt from the previous forecast but up 13 percent from a year earlier. This month’s downward revision in exports is due to tighter medium- and short-grain supplies. On an annual basis, the expected all-rice export increase in 2018/19 is based on larger supplies, slightly lower U.S. prices, weaker shipments from Australia and Egypt, and a smaller price difference with major Asian and South American competitors in the global long-grain market. U.S. rough rice exports in 2018/19 remain projected at 34.0 million cwt, up 13 percent from 2017/18, with expanded shipments to Latin America accounting for most of the expected increase. U.S. sales to the Mediterranean are expected to be higher as well, largely due to a smaller crop in Egypt, a major supplier to the region, as well as tighter supplies in Australia. Latin America accounts for the bulk of U.S. rough-rice exports, taking almost exclusively long-grain rice. Markets in the Mediterranean account for most of the remaining U.S. rough-rice exports, purchasing mostly medium-grain rice, typically from the South. U.S. milled rice exports (combined milled and brown rice exports on a rough basis) in 2018/19 are projected at 68.0 million cwt, down 1.0 million cwt from the previous forecast but 13 percent above a year earlier. The small downward revision is based on tighter supplies of U.S. medium- and short-grain rice. On an annual basis, Latin America (especially Haiti), the Middle East, and Northeast Asia are likely to import more U.S. milled-rice in 2018/19, with the expected growth in Northeast Asia mostly accounted for by shipments purchased in 2017/18. These three regional markets plus Canada account for the bulk of U.S. milled rice exports. Europe and Sub-Saharan Africa typically purchase much smaller amounts. U.S. long-grain exports in 2018/19 remain projected at 72.0 million cwt, up 5.0 million cwt from the year-earlier revised forecast. Latin America, the largest market for U.S. long-grain rice exports, is expected to account for most of the increase, primarily due to more competitive U.S. prices and larger supplies. In recent years, the United States has lost market shares in both Mexico and Central America, mostly to South American exporters and, to a lesser extent, some Asian exporters. The U.S. remains the largest supplier to both of these substantial rice-importing markets, but its share continues to decline, mostly due to improved quality and more competitive prices from South American exporters. In 2017/18, the U.S. lost market share in Venezuela as well, also mostly to South American competitors. Total use of U.S. rice in 2018/19 is projected at 230.0 million cwt, an increase of 4.0 million cwt from the previous forecast and 5-percent larger than a year earlier. Long-grain total use is projected at 171.0 million cwt, up 3.0 million cwt from the previous forecast—all due to larger domestic use, and almost 6 percent larger than in 2017/18. Medium- and short-grain total use in 2018/19 is projected at 59.0 million cwt, an increase of 1.0 million cwt from the previous forecast—a result of a larger domestic use forecast—and 3.5 percent larger than a year earlier, a result of higher exports. U.S. ending stocks of all rice in 2018/19 are projected at 42.3 million cwt, an increase of 2 percent from the previous forecast and 31 percent larger than a year earlier. The substantial rise in ending stocks in 2018/19, despite stronger exports, is due to a 20-percent increase in production. The 2018/19 stocks-to-use ratio is projected at 18.4 percent, well above 14.7 percent in 2017/18. The stocks situation varies by class. Long-grain 2018/19 ending stocks are projected at 29.4 million cwt, an increase of 8.5 percent from the previous forecast and 44 percent larger than a year earlier. The long-grain stocks-to-use ratio is projected at 17.2 percent, up from 12.6 percent in 2017/18. 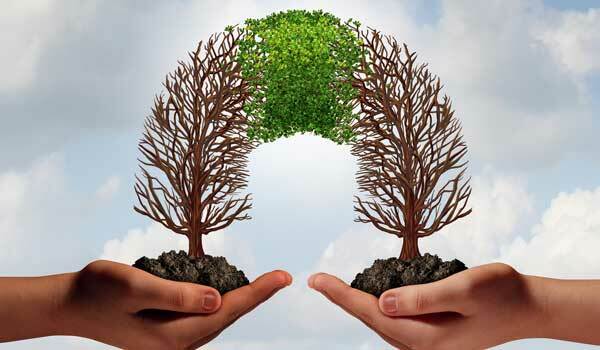 An ending-stocks projection and stocks-to-use ratio of these levels will likely put downward pressure on long-grain prices during the 2018/19 market year. For medium- and short-grain rice, 2018/19 ending stocks are projected at 9.4 million cwt, down 1.5 million cwt from the previous forecast but 12 percent larger than a year earlier. The medium- and short-grain stocks-to-use ratio is projected at 15.9 percent, up from 14.7 percent in 2017/18. There were several major revisions this month to the 2017/18 U.S. rice balance sheet, all on the use side. First, total domestic and residual use was raised 9.0 million cwt to 129.0 million cwt, 3 percent below a year earlier. The substantial upward revision in 2017/18 total domestic use is largely based on the June 1 reported rice stocks, which indicated much higher domestic use the first 10 months of the market year than previously forecast. By class, long-grain domestic use was increased 3.0 million cwt to 95.0 million cwt, down 7 percent from a year earlier. Medium- and short-grain domestic use was increased 6.0 million cwt to 34.0 million cwt, up 8 percent from 2016/17 and the highest since 2006/07, also a year of abnormally low exports. Second, the 2017/18 total U.S. export forecast was lowered 4.0 million cwt to 90.0 million cwt based on monthly Census trade data through May, shipment and sales data reported in the weekly U.S. Export Sales through June 28, and expectations regarding shipments the remainder of the market year. Through May 2018, monthly shipment data reported by the U.S. Bureau of the Census converted to a rough-rice basis indicated total U.S. rice exports from August 2017 through May 2018 at 75.8 million cwt. Through April 2018, monthly U.S. exports were below a year earlier each month, with the difference especially large in September, January, February, and April. However, in May 2018, U.S. exports exceeded a year earlier by 6 percent. Milled rice accounted for most of the downward revision in U.S. 2017/18 exports. At 60.0 million cwt, milled-rice exports are 2.0 million cwt below the previous forecast and 19 percent below a year earlier. U.S. 2017/18 rough-rice exports are forecast at 30.0 million cwt, down 1.0 million cwt from the previous forecast, but 26 percent below the year-earlier near-record. Venezuela and Libya account for much of the decline in U.S. rough-rice exports in 2017/18. By class, long-grain 2017/18 exports are forecast at 67.0 million cwt, 2.0 million cwt below the previous forecast and almost 13 percent below a year earlier, with weaker sales to Venezuela a major factor. The U.S. medium- and short-grain 2017/18 export forecast was also lowered 2.0 million cwt to 23.0 million cwt, down 40 percent from a year earlier and the lowest since 2006/07. On balance, these partially offsetting domestic use and export revisions lowered 2017/18 all rice ending stocks 5.0 million cwt to 32.3 million cwt, 30 percent below a year earlier. Long-grain ending stocks were lowered 1.0 million cwt to 20.4 million cwt, 34 percent below a year earlier. The combined medium- and short-grain 2017/18 ending stocks forecast was lowered 5.0 million cwt to just 8.4 million cwt, 27 percent below a year ago and the lowest since 2008/09. Based on data reported in the June Rice Stocks, U.S. stocks of rice on June 1, 2018, are estimated at 52.3 million cwt (combined milled- and rough-rice stocks on a rough-rice basis), down more than 29 percent from a year earlier and well below expectations. By class, long-grain stocks on June 1 are estimated at 35.7 million cwt, 29 percent below a year earlier. Combined medium- and short-grain stocks on June 1 are estimated at 21.1 million cwt, a 31-percent drop from a year earlier. Stocks of brokens on June 1, not classified by class, are estimated at 2.1 million cwt, 25 percent below a year earlier. Rice stocks on June 1 are estimated to have been below a year earlier in all reported States except Texas, with Arkansas accounting for 63 percent of the decline. At 28.0 million cwt, Arkansas’ June 1 rice stocks are 33 percent below a year earlier. Mississippi reported the largest percentage decline in stocks, with June 1 rice stocks of 782,000 cwt 67 percent below a year earlier. Missouri’s June 1 rice stocks of 1.75 million cwt are down 46 percent from a year earlier. At 3.05 million cwt, Louisiana’s June rice stocks are 33 percent below June 1, 2017. California’s June 1 rice stocks of 11.8 million cwt are 29 percent below a year earlier. In contrast, Texas’ June 1 rice stocks of 1.4 million cwt are 23 percent larger than a year earlier. This month, USDA lowered its forecasts for 2018/19 season-average farm prices for both classes of rice, mostly based on larger supplies. The 2018/19 long-grain SAFP is projected at $10.70-$17.70 per cwt, down 30 cents on the high and low end of last month’s range. The midpoint is down 50 cents from 2017/18. The Southern 2018/19 medium- and short-grain season-average farm price is projected at $11.00-$12.00 per cwt, down 20 cents on both the high and low ends of last month’s range. The 2018/19 midpoint is 50 cents below a year earlier. The California 2018/19 medium- and short-grain season-average price is projected at $16.00-$17.00 per cwt, down 50 cents on both ends of the previous range. The midpoint is 20 cents below the 2017/18 SAFP. The U.S. 2018/19 medium- and short-grain season-average farm price is projected at $14.50-$15.50 per cwt, down 20 cents on both ends of the previous range. The 2018/19 mid-point is 10 cents below a year earlier. The all-rice 2018/19 season-average farm price is projected at $11.60-$12.60 per cwt, down 30 cents on both ends of the previous range. The midpoint of the 2018/19 all rice SAFP is 40 cents below a year earlier. There were small revisions this month to the 2017/18 SAFP forecasts. The 2017/18 long-grain SAFP was revised to $11.70 per cwt from $11.50-$11.70 a month earlier. The 2017/18 long-grain SAFP is well above the $9.61 reported for 2016/17. The California 2017/18 SAFP was revised to $16.70 per cwt from last month’s $16.20-$17.00, well above $14.10 in 2016/17. The Southern medium-grain SAFP of $12.00 per cwt is unchanged from the previous estimate’s mid-point. The U.S. 2017/18 medium- and short-grain SAFP was revised to $15.10 from the previous forecast of $14.70-$15.30 per cwt. Finally, the 2017/18 all-rice SAFP was revised to $12.60 per cwt from the previous forecast of $12.30-$12.70 per cwt.